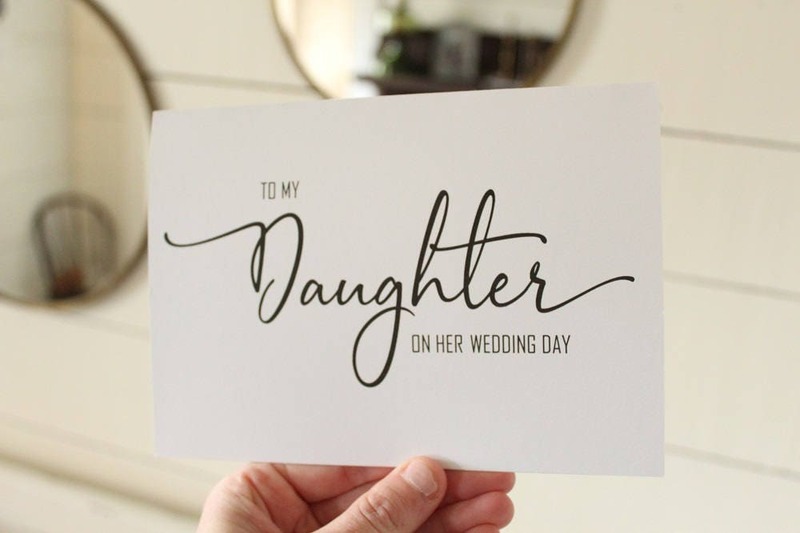 This simple yet elegant card is perfect to give to your daughter on her wedding day.. Featuring a beautiful delicate font style. 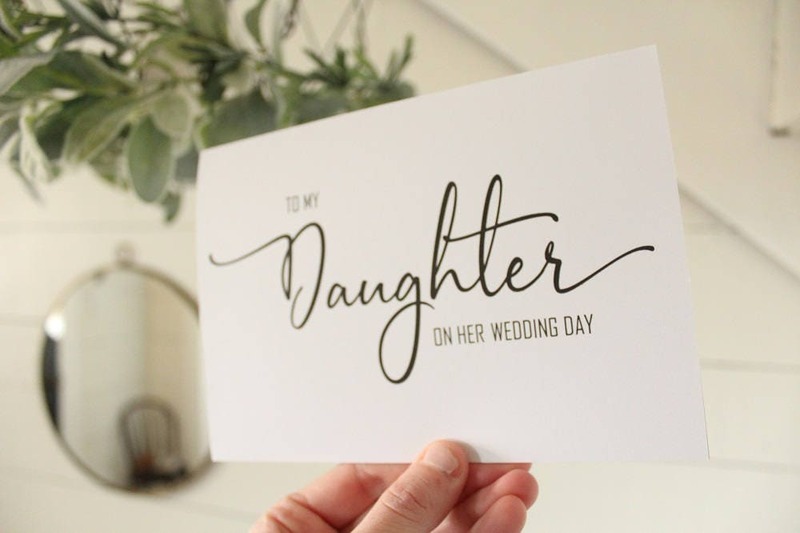 I asked for it to be personalized with my daughter's name and wedding date and owner obliged. Thank you. Shipped quickly in time for my daughter's wedding. Good quality card! 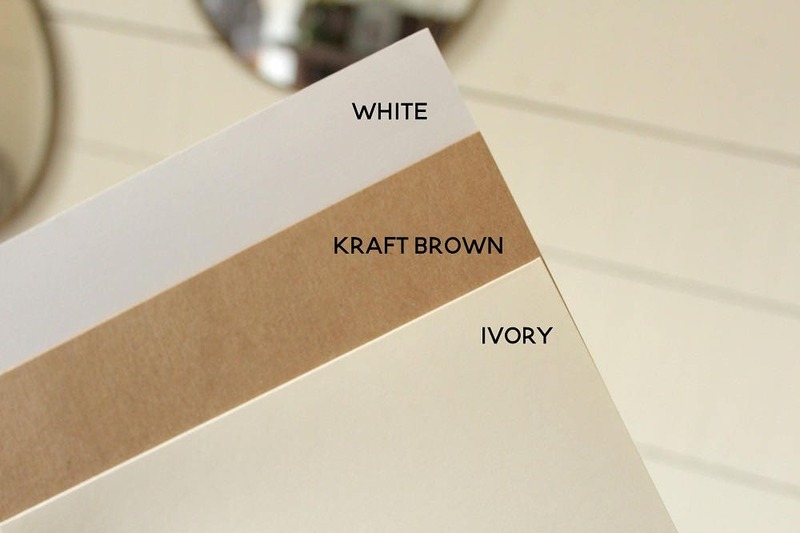 So often cards are just too small to write a note. This one is perfect size. Simple clean....on message!